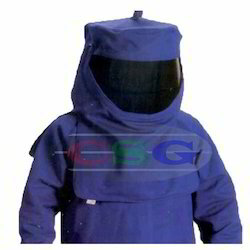 Exporter of a wide range of products which include cryogenic apron, fire fighter suit, arc flash suit, fire retardant coverall, cold storage suit and boiler suit. 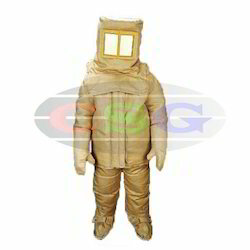 We are one of the prominent names in the industry, offering Cryo Suit. We study the market demand for Cryo Apron regularly and keep optimum stock levels. Companies have started adopting increased safety measures since it has become mandatory to follow safety protocols. Audits for Fire Fighter Suit take place to check their conformance to safety and quality standards set by government and testing bodies. Outer layer for 2000 Series constructed from ZetexPlus® to support direct contact with extreme temperatures. 7 additional insulation layers provide maximum protection from heat and fire. Made from inorganic ZetexPlus® which meets one or more of the following standards: UL 214, NFPA 701, and MIL-C-20079. Complete set includes Hood, Coat, Pants, Boots, Mitts, and Foot Locker Box or Duffle Bag for storage. Fire Suit is compact and light weight so that it occupies less space and becomes easy to transport. Short duration ambient heat of 1500°F (815°C). Total flame of 2000°F (1093°C). 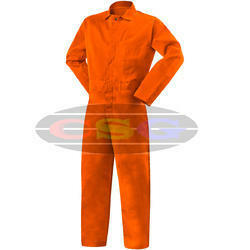 To keep up with growing demand of Fire Retardant Suit, we keep adequate stocks at any given time. We are among the distinguished names in the industry, engaged in offering ARC Flash Suit to our valuable customers. The offered suits are designed keeping in mind the fire safety requirements of the customers and provide immense protection to the customers. We make these suits available at reasonable prices. We are known for creating a wide range of innovative and sustainable products for the industrial markets among which Fire Resistant Suit stands on its design, strength and reliability. 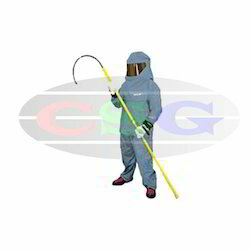 These suits are made from a superior quality Fire Retardant Fabric stitched with Kevlar thread. These High Temperature Resistant Suit are finely finished and are known for their ability to provide optimal protection. It protects the user in the high heat free from molten splashes. It is light in weight and can be used by the workman staff as well as other employees who are required to visit such high heat areas / Hot Zone. It is most ideal for workman staff to use this FR Suit while performing their duties as compare to normal dresses made out of non FR Fabric. Fire Retardant Suit is recommended for labours, workers and inspection officers to use while performing their duties at the site. 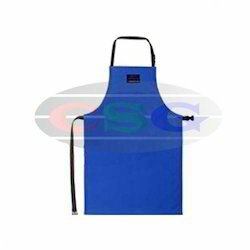 We are long-time established manufacturer, distributor, importer and exporter of Cold Storage Clothing. Our Low Temperature Suits are being exported to global regions like of Middle East, Africa, South Asia, Latin America, Europe, Bangladesh, Bhutan, Nepal, Sri Lanka and many more. Made out of PU coating polyester fabric. Suitable for -25 degree temperature. Available in either and coat, pant or coverall style. Cold Storage Apparel provides adequate protection to a person working in adverse working conditions. 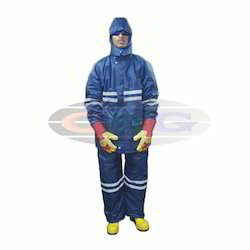 Our Cold Storage Suit follows all industrial norms associated with it . Boiler Suit helps in protecting workers from life-threatening hazards at workplace. Our quality management team, inspects and tests Dangri Suit before it is dispatched to customers. 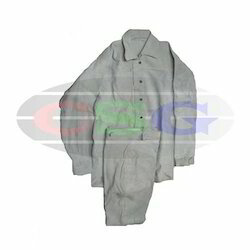 We have over two decades of vast industrial knowledge and experience in producing superior quality Welder Suit. The basic materials used in manufacturing Welding Suit are well tested by our testing team to ensure its safety. Made out of heavy duty chrome leathe. Consist of coat (with full sleeves) & Pant. With front brass button. Size & length of coat can customize as per client requirement. Suitable at area where heavy welding is done. With more than two decades of experience in the field of Industrial Safety Products, we have emerged as a respectable leader for the supply of Electrical Safety Suit. Let Fyrban protect you from electrical shock and Arc Flash hazards with our 51 Cal Arc Flash Suit. Fyrban Arc Flash clothing is made to the hightest of standards, with quality features built in for everyday performance. Be safe with a leader in Arc Flash PPE. This Electrical Safety Coverall conforms to government standards and industry regulations. New models of this Arc Flash Suit keep developing to produce higher quality products without cutting corner.